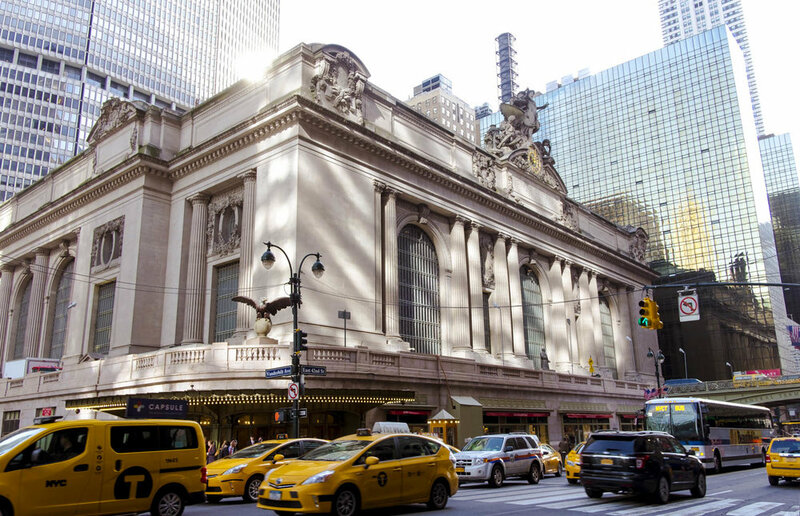 The Iconic New York City Tour is a 6 hour walking tour beginning in midtown Manhattan at Grand Central Terminal. This is the classic New York City featured in films and literature. The Iconic New York City Tour is a 6 hour walking tour (with one short bus ride. * ) that begins in midtown Manhattan at the very busy Grand Central Terminal (1 million commuters passing through it everyday!) This is the classic New York City sightseeing featured in films and literature. The tour continues with Iconic architecture and historical information about the Chrysler Building, the Empire State Building, the Flatiron Building and much more. We will end up at Union Square Park which is known for its history of demonstrations, entertainment, chess players and outdoor markets. This is a private tour and the cost is $330 for a group up to 4 people. (Inquire for larger groups.) For more information or to reserve a tour contact me. A 50% deposit (payable through PayPal) is required to reserve a date. You can choose to be met at your hotel or meet in a designated location. The time listed for the tour is the minimum about of time that we can reasonably see and shoot here. We can definitely do a longer tour if you like. An additional hour is $55 and it is possible that I will be able to accommodate that during our tour. Tour Suggestions are a sample of some of the possible places you can go on my tours with the length of time and cost included. My tours are designed for those who want to discover New York City, with or without camera. Included are historical, architectural and cultural information about the city. As well, suggestions are offered about how to get around town or other places you might want to visit while you’re here. Photos documenting your tour can also be included. For photo tours (beginners to advanced) assistance is provided on camera use, techniques and photographic opportunities to achieve the best shot. Genres include (but are not limited to) urban landscapes, graffiti and street photography.